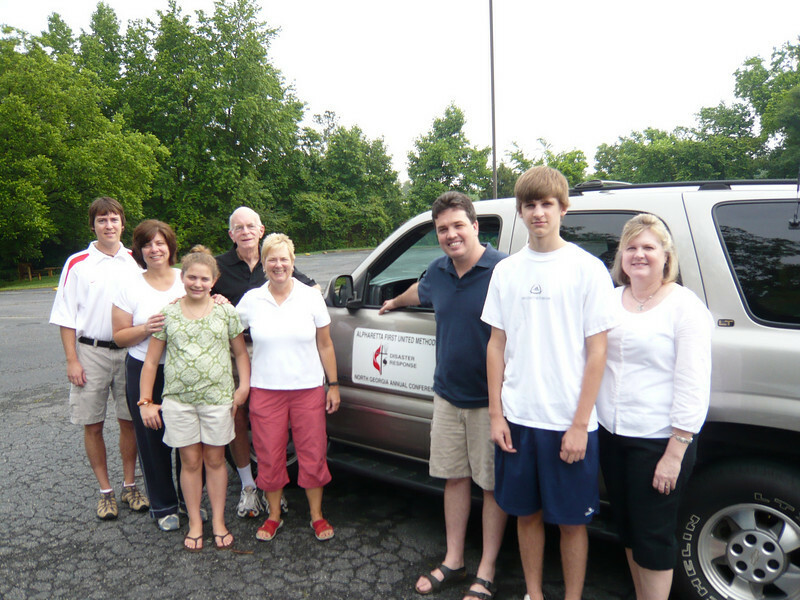 Each year Alpharetta Methodist sends work teams to the Gulf Coast to help in rebuild the disaster of Hurricane Katrina. Why are we still going there?” Hurricane Katrina was one of the most destructive hurricanes on record. In Mississippi alone thousands of homes were damaged or destroyed. Only a small percentage has been replaced or repaired. Those who were poor are still living in FEMA trailers or federal-assisted housing. Those who were middle class and had insurance were given very small settlements or none at all. Thousands of people are living in rented apartments or unfinished houses, trying to save money to get one project at a time finished. We can help by providing free labor! This is a big expense that can be avoided by the homeowner. We are not building houses. We work alongside the homeowners, who provide most of their own materials and we put in sheetrock, painting, roofing, and doing simple carpentry. For more information, contact Jane Rogers, jmrx4@comcast.net.